Niel Harper is the Founder and Managing Director of Octave Consulting Group, a boutique consulting firm specializing in CIO advisory, cybersecurity, IT assurance and information risk management services, Internet governance & policy, and capacity building. He advises a number of global organizations and governments on how to use ICTs and the Internet to enhance competitiveness, achieve operational efficiencies, build online security, privacy and trust, and to enable human, social and economic development. Niel is also heavily involved with e-Learning platforms, online course development, and the use of networked publics in education. He previously worked for CIBC FirstCaribbean International Bank where he was the Head of Telecommunications Engineering responsible for products and services across 17 countries, and was part of the team that developed and deployed the first mobile banking platform in the Caribbean region. 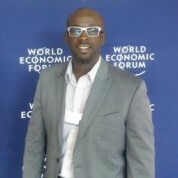 Prior to that, he was the Chief Internal Auditor at Sint Maarten Telecommunications Group where he developed the organization’s enterprise risk management and audit methodologies. Before that, he was the Manager, Network Operations & Engineering at AT&T Wireless International where he led the implementation and operationalization of cellular networks in the English-speaking Caribbean. Niel was recognized by the World Economic Forum as a Young Global Leader in 2014. In 2011, he was named as a Next Generation Leader by the Internet Society. He has also been selected as a Fellow to the OECD Technology Foresight Forum, and as a Chartered Fellow to the British Computer Society. Niel completed his undergraduate studies in Business Information Systems at Algonquin College of Applied Arts and Technology. He also holds a Post-Graduate Diploma in Telecoms Regulation & Policy from the University of the West Indies, and a MBA in Quality Management from the University of Leicester. Niel also holds a number of industry certifications in IT auditing, information security, and business continuity management. I am both humbled and highly enthused to be part of the Academy and the overall efforts of Varkey Foundation to recognize the exemplary contributions of teachers. Coming from an underprivileged background, education has been the vehicle that has provided me with amazing opportunities, improved the quality of life for me and my family, and blessed me with rich and rewarding experiences - I owe so much to the committed teachers that have graced my life. My work in technology-enabled education has shown me that teachers play so many different roles: mentor, coach, facilitator, supporter, learner, and catalyst for change. Teaching is one of the most unheralded, yet profoundly important and impactful roles in society. I am more than happy for the chance to participate in this award that shines the spotlight on the excellent work being done by teachers across the globe.